The S2 boasts so many great features and is designed to truly meet the needs of moms wanting to feel confident that they have an effective, powerful breast pump to support supply while also incorporating features to make life a little easier. Like all Spectra pumps, the S2 is a closed system - a physical barrier between the milk and the pump ensures hygiene and motor performance. 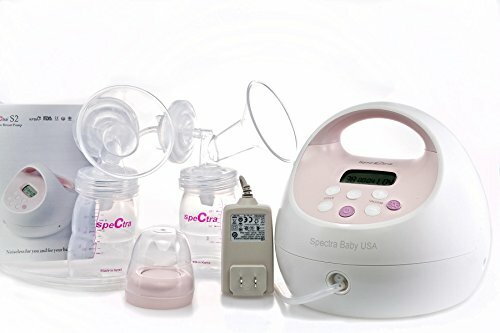 The S2 is intended to rival ANY and ALL other hospital grade breast pumps, and even surpass them with some of its innovative features designed to make life easier for moms. With a maximum suction strength of 300mmHg and the ability to be used as a single or double pump, plus a host of additional features, the S2 is set to become the ultimate breast pump to support U.S. moms. Completely flexible, touch button, with the S2 pump's digital controls.